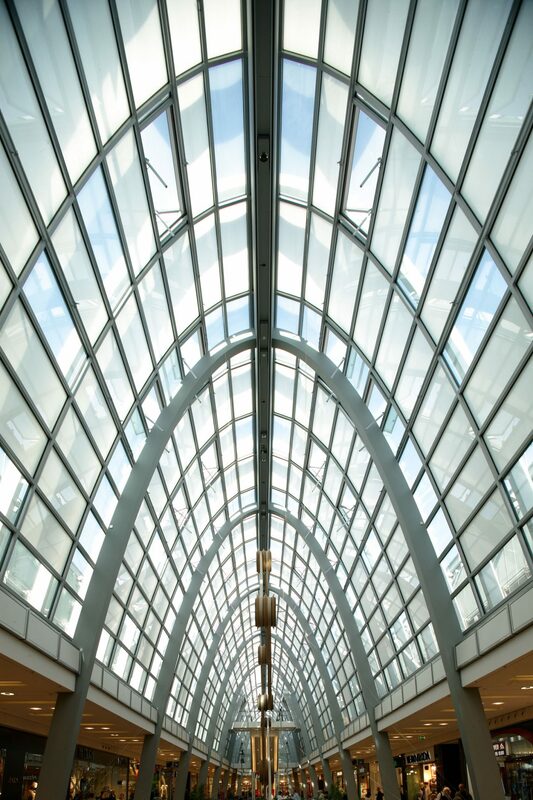 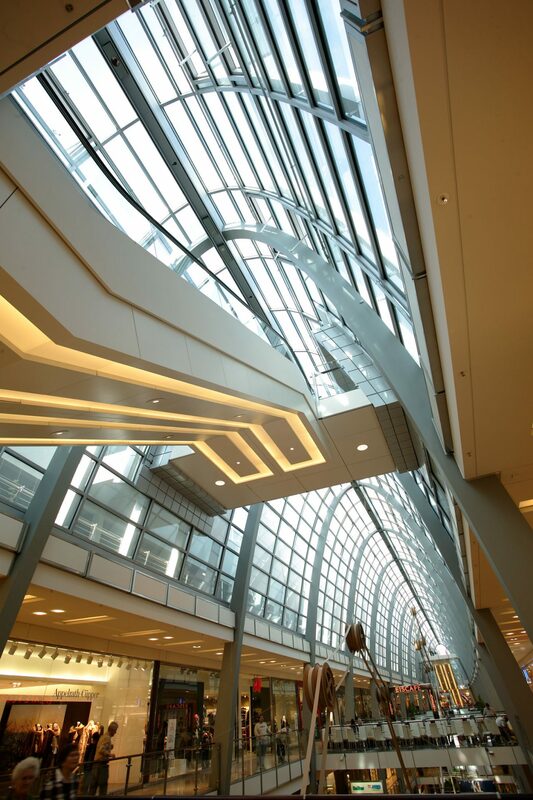 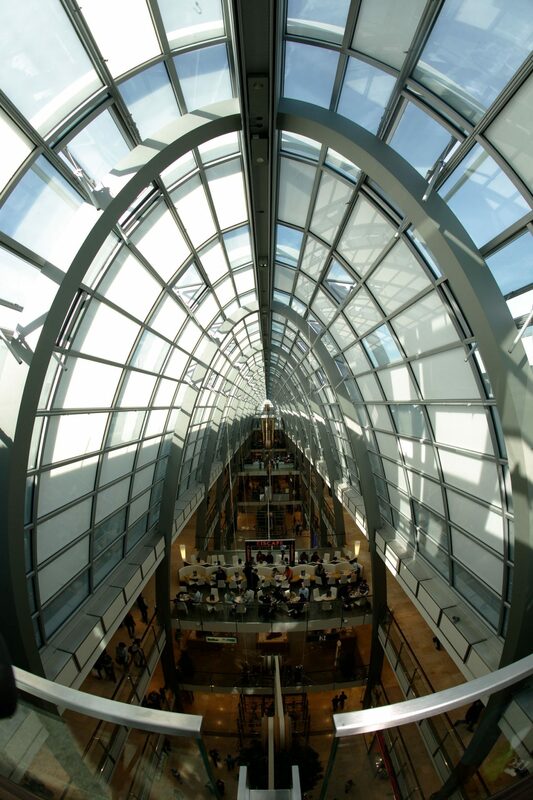 The arched glass roof above the Ettlinger Tor shopping mall in Karlsruhe is 425 feet in length, has a 33 foot span and is 36 feet in height, tapering in width and height towards both ends. 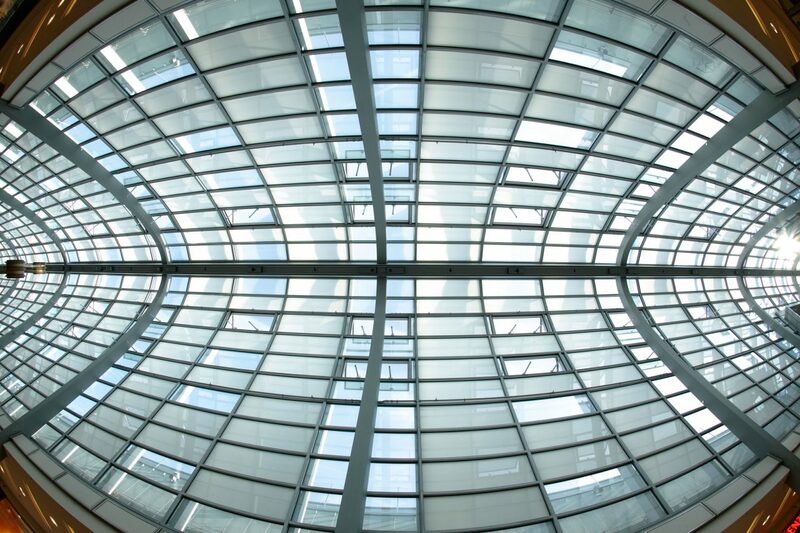 This produces a curved surface. 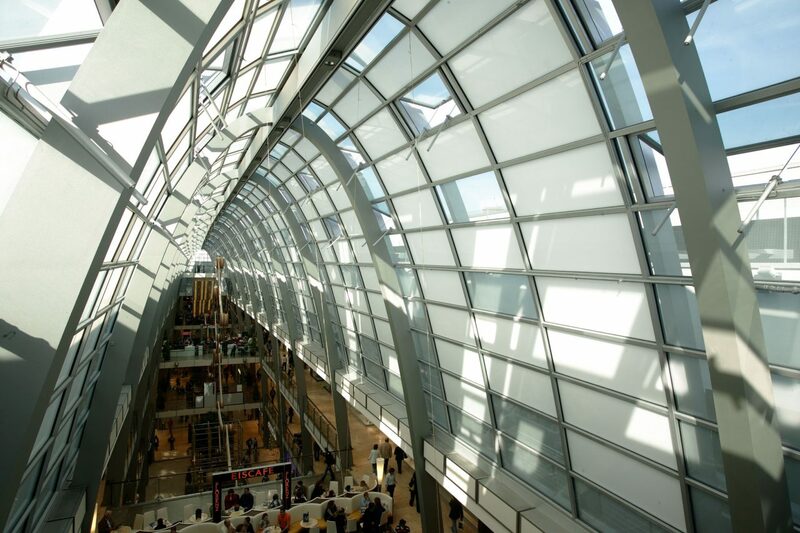 The individual insulating glazing elements do not have flat surfaces, but are similarly spatially curved and thus spherical in shape.